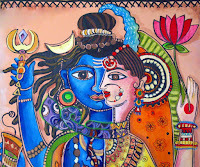 I found Her & Him - Them - hidden in the back in a dusty corner of a large shop in the temple town of Kumbakonam, Tamil Nadu. 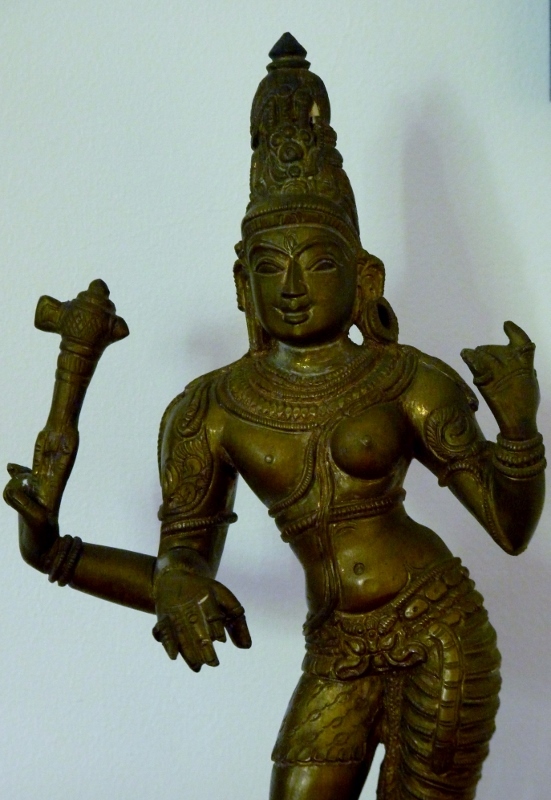 A Chola-style Ardhnarishvara, who now adorns a small corner in my home. When I saw my little Ardhnarishvara I knew exactly the spot that will be His/Her abode in my home. Why did this particular spot come to mind spontaneously? 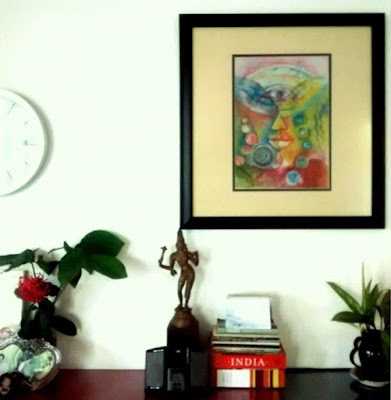 Perhaps because a contemporary form of Ardhnarishwara, framed under glass, already has found its home there. A painting made by the young Delhi-based artist, Bindu Popli, titled "You and Me 2" hangs on the wall just above the panchaloha Ardhnarishvara. (Actually it is a print of her painting -- can't afford all original works even though the artist is my sister and gives me great discounts!) And yes, there is also a "You and Me 1", a print of which hangs in another room. 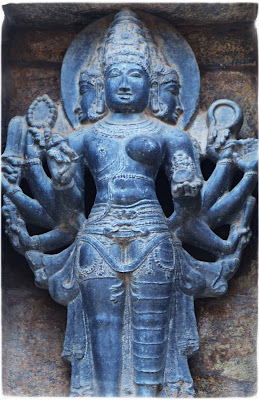 I have always thought of this particular work as the artist's vision of Ardhnarishvara -- a totality that lies beyond duality, a non-duality that is beyond the unity of opposites, a oneness that is beyond the complementarity of the masculine and feminine principles. 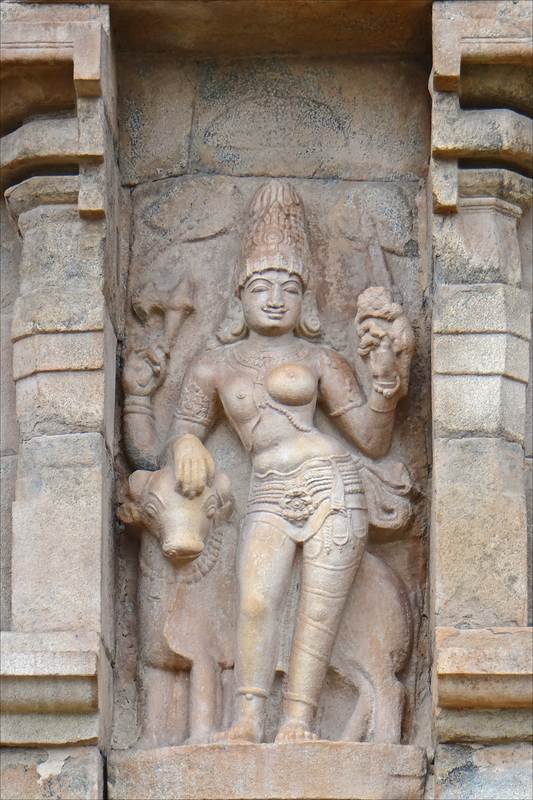 Several years ago, the artist had done another Ardhnarishvara, which she actually called by that name. 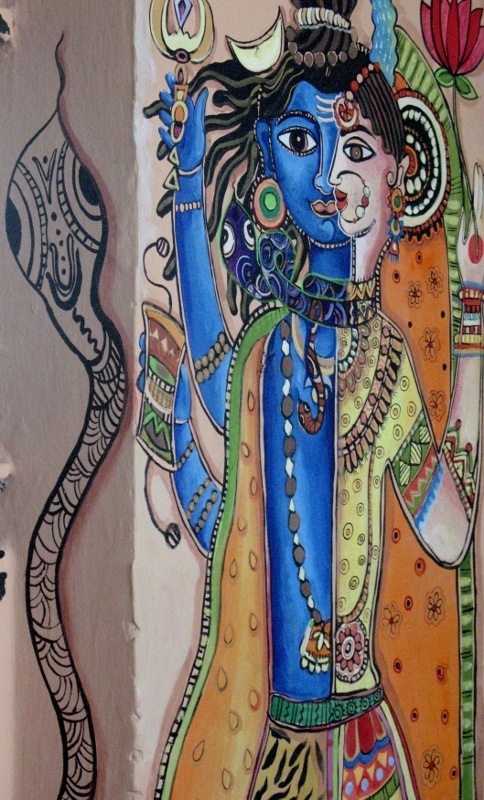 This was a wall mural in her previous studio. Small photographic prints of this Ardhnarishvara have also found home in my place. In three different versions -- coloured, black & white and sepia under the stairs. So yes, I do feel a special connection with this particular form of the Divine, Ardhnarishvara! Here are three that adorn my home, up close. 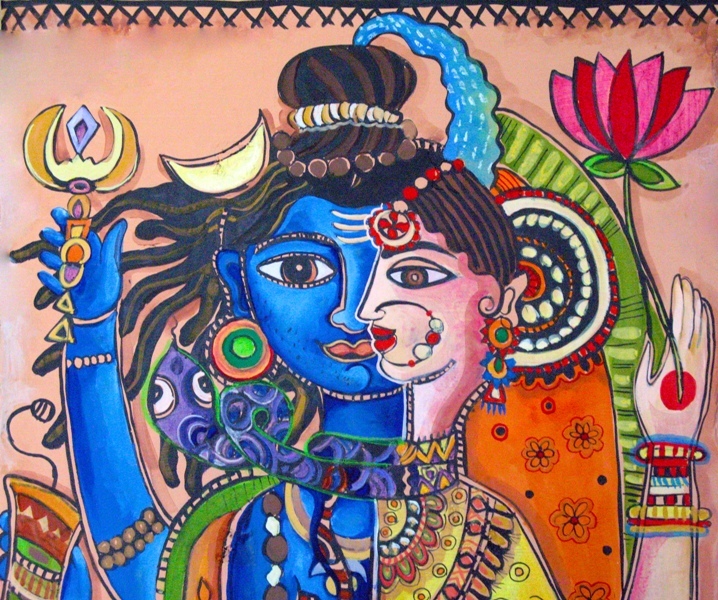 May the Two That are One and the One That is Many continue to grace my inner Home too. "Without Him I Exist Not, Without Me He is Unmanifest." 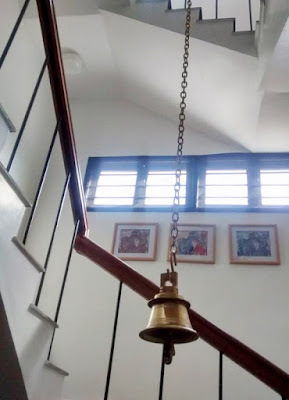 Unless specified all photos are from personal archives, taken by family members. To see the previous post in the series, click here. To see the previous photo essay on this blog, click here.